In any environment, urban decay threatens property values and business prosperity. It negatively impacts on investor confidence and undermines the quality of life for the users of that area. Crime, grime and social dysfunction; inadequate services to public areas; the degrading of the built and natural environment; poorly maintained infrastructure, and property owner apathy towards public areas surrounding their properties are indicators of urban decay, with one quickly leading to another. The aim of urban management therefore, is to stem the rate of urban decay as quickly as possible, before the need for a slow and often costly turnaround takes hold. To do this, it is important to understand how interlinked these symptoms are and that improved safety, for example, cannot be viewed in isolation, but rather as an outcome of a holistically managed urban environment. This includes improved social cohesion, cleaning, greening, maintenance, social responsibility, communication and importantly safety and security. Important to note is that there is no correlation between the rand value of municipal rates paid and service levels delivered to a particular area. In other words, service levels are governed by municipal policy, which provides for a set service level throughout the municipality. This means that despite some areas contributing more to the rates base, they will not receive a greater level of service. For this reason, management structures, which take on different forms based on the legal structure and policy of a city, province or country, have been established to fill the gap in service delivery to public areas, thus ensuring the expected level of quality in public areas. Urban Improvement Precinct (UIP) is one term used for the internationally-based concept of managed public spaces, with City Improvement Districts (CIDs), Business Improvement Districts (BIDs), Management Districts (MDs) and Management Associations (MAs) being some of the other management vehicles used both locally and abroad. With appropriate urban management services, we aim to stem the negative effect of urban decay and begin the process of rejuvenating open public space. We work hard to ensure meaningful and productive engagements with the local authorities to maximise the potential of economic nodes. Positive perceptions drive successful places and we work to make perceptions reality. By creating safe, clean and well-managed open public space, we aim to enhance property values, secure investor confidence and improve experience of place. 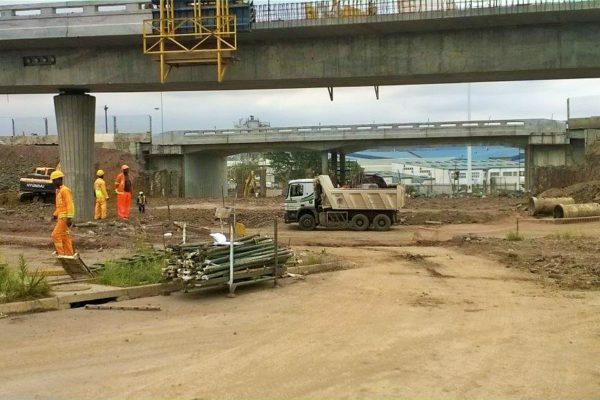 From our clients to the municipality, we believe in creating strong and productive partnerships that enhance the economic value of urban spaces. Through experience and relationships, we focus on evolving best practice in urban management. 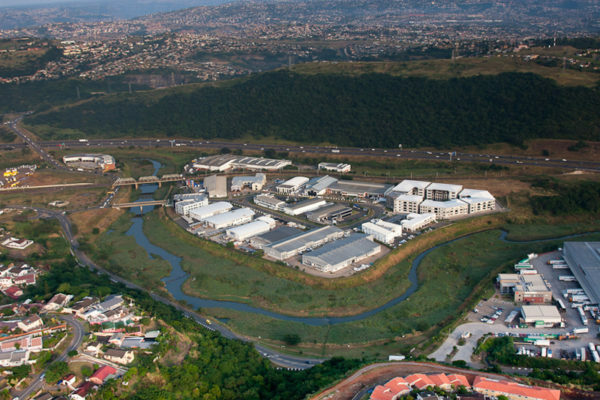 In KwaZulu Natal, the Urban Improvement Precinct (UIP) structure is based on the Municipal Property Rates Act of 2004, which makes provision for the establishment of what is technically termed a Special Rating Area (SRA). 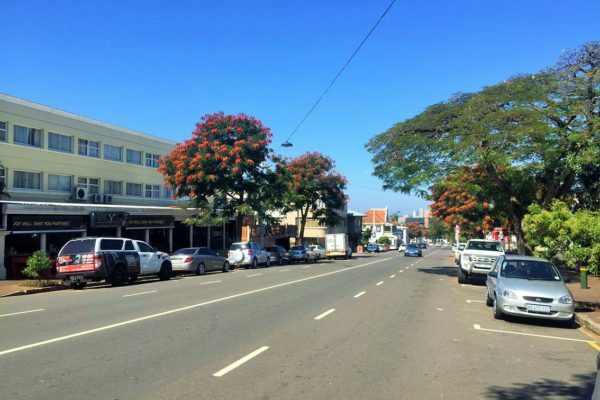 The SRA is a defined geographic area within which the majority of property owners agree to pay for certain services supplementary to those supplied by the municipality. The Act requires the establishment of a Non Profit Company comprising a board of non-remunerated directors. The board is constituted by property owners or appointed representatives to represent property owners within the SRA. Furthermore, the Act requires the UIP Board approve an annual business plan and budget specifically for the service requirements to the defined UIP area. The business plan and budget are approved annually by the municipality together with a finance agreement. The company’s Memorandum of Incorporation (MOI) provides the specific responsibilities of the board of directors. This gives the property owners control of their contributions, ensuring transparency and accountability. The UIP budget is funded by property owners in the UIP area and is calculated on a pro rata basis against assessed property values. This payment is levied on the municipal rates bill and collected by the municipality, free of charge, on behalf of the independent Non Profit Company, who represents members’ interests. Once the formation of the UIP is approved by Council, all property owners within its boundaries are required by law to contribute to the UIP. The Urban Improvement Precinct (UIP) structure is seen as the vehicle that delivers the management service in the SRA, and is set up as a sustainable funding mechanism for urban management and improvement of public areas, with the financial responsibility equitably shared by precinct members. With the SRA legislation in place, there are no ‘free-loaders’, as all property owners within the UIP boundaries are compelled by law to contribute. Being an independent and privately-funded entity means that the UIP is directly answerable to its property owners, ensuring responsive service delivery. Management Associations are fundamentally set up to protect and advance the interests of property owners within a designated area. This is achieved through the protection, promotion and maintenance of essential services, amenities and activities as well as the co-ordination of development in that area, which is funded through an Associations levy. A Management Association is set up as registered Section 21 company (not for profit or gain), which is governed by the Companies Act 61/1973, and whose operation is legally bound by its registered Memorandum of Incorporation (MOI). Membership of the Management Association is entrenched in the property sales agreement of an area and therefore each property owner will automatically become a member of the Association on transfer of property, from which point the owner will also become liable to pay levies to the Association. Management Associations are administered by a self-governing Board of Directors, that represents and is accountable to the owners or members of the Association. The Associations’ MOI provides for the specific responsibilities of the Board, which gives property owners direct control of their contributions, ensuring transparency and accountability. The Board will usually appoint a management team, responsible for onsite operations and administration as well as overseeing the daily operations of all service providers, handling queries, co-ordinating meetings, collecting levies, financial management and development control. The UrbanMGT team sees a combination of staff: those dedicated to specific precincts and those whose services are split across various areas. From policy development and strategic planning to administration and corporate governance, the UrbanMGT management team and support staff, manages services across all the UIPs and MAs. Brian Wright is the founder and Managing Director of UrbanMGT. With a Masters Degree in Sustainability (Rhodes University) and an International Marketing Management Diploma, Brian completed a four-year stint in the NGO sector, which honed the professional skills required to actively engage municipal and government structures, crucial for the cost-effective success of precinct management structures. While very much involved in the operations of the precincts, Brian also works closely with City structures on policy development and how best to unlock the economic potential of key nodes in the city and province. Cara Reilly joined the UrbanMGT team in 2011 after relocating to Durban from Johannesburg and heads up our UrbanPLACES division. With an Honours Degree in Journalism and Communication and 14 years of urban management experience, Cara’s core focus is on communication, marketing and place-making and how best to uncover and harness the attributes of an area for the benefit of the local community and surrounding nodes. Cara manages all communications, websites, media, PR and APP programs as well strategies and related to placemaking and marketing that are aimed at enhancing the experience of place. Joanne joined UrbanMGT in May 2016 to provide corporate governance and company secretariat services to the company and the UIP and MA Boards. Joanne comes from a consultancy background, specifically in relating to occupational pension trusts. Joanne enjoys spending quality outdoor time with her husband and son. Maxine Schilz joined the UrbanMGT team in early 2018 to fill the position of finance manager. With the growth not only in the business but in the financial compliance required of both the UIP and MA structures, Maxine’s portfolio is a critical of the UrbanMGT service offering. Maxine is a Durban-local with two young sons. Bruce Macaulay joined us from the Riverhorse Valley Management Association in April 2017 after running the Riverhorse Valley precinct for 7 years, and working with Brian Wright and UrbanMGT as management consultants to Riverhorse Valley since early 2013. Bruce spent time overseas, living in London for 5 years, where he got his first experience in precinct style management, working for the City of Westminster in their Street Environment Management Division for 3 years before returning to South Africa. Upon returning to South Africa Bruce worked in Property and Portfolio Management, which also exposed him to Property Development and Facilities Management, before taking his position as Precinct Manager at Riverhorse Valley Business Estate in early 2010. It is Bruce’s nearly 20 year’s experience in property and facilities management that has enabled him to fill the role of head of operations for the Management Associations within UrbanMGT. Jenny studied at Rhodes where she received her BA (Hons) in Human Movements Studies (Biokinetics). Over the past 24 years she has travelled, lived and worked, abroad returning to South Africa to start her family. With a complete change of career, she now oversees UrbanMGT’s administration and as quoted, “Loves being part of such an exciting and dynamic company that thinks ‘out the box’ and strives to embraces all that is good in South Africa”. Celine works at Riverhorse Valley and Cornubia in an administrative role, with her most challenging job being the mother of two teenage children. Celine spends most of her spare time fetching, carrying and dropping off children and manages to meet once a month with friends to discuss health and body issues. Divina joined the UrbanMGT in mid 2018 to provide support to the UrbanPLACES division. Focused on precinct based communication, Divina drives the story telling across the precincts, helping levy payers read and see the value their contributions make the the collective. 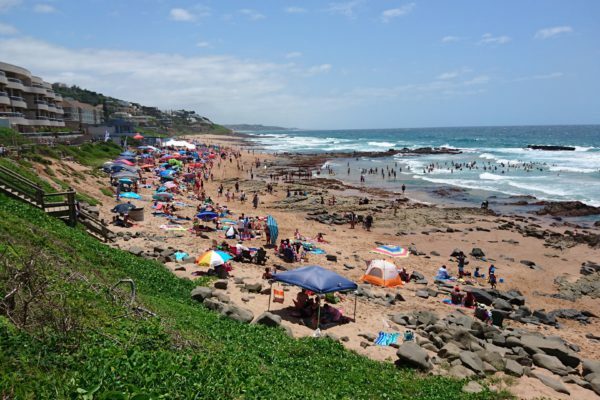 Dewet is uMhlanga Rocks “go-to man” and has been employed as the UIP operational manager since November 2011, before which he worked for Enforce Security Services as the UIPs security manager. He served as a member of the SANDF for 20 years and held the rank of Lieutenant Colonel and Commanding Officer of the VIP Protection Wing, which was tasked with safe-guarding SANDF Generals and the Minister of Defence. Dewet is married to Annetjie and is a father and grandfather, who supports The Stormers and likes to braai, braai and braai. Jarrod started as the Florida Rd precinct manager on 1st December 2014. An adaptable, enthusiastic and self-motivated individual. Jarrod’s experience includes over four years’ service in the British Parachute Regiment, with operational tours to both Afghanistan and Iraq. Here he honed his skills in problem-solving, leading teams to achieve goals and completing objectives, often under extremely demanding and stressful conditions. Jarrod is capacitated and resourceful and, as a resident of Gordon Road, is committed to improving the greater Florida Rd area. 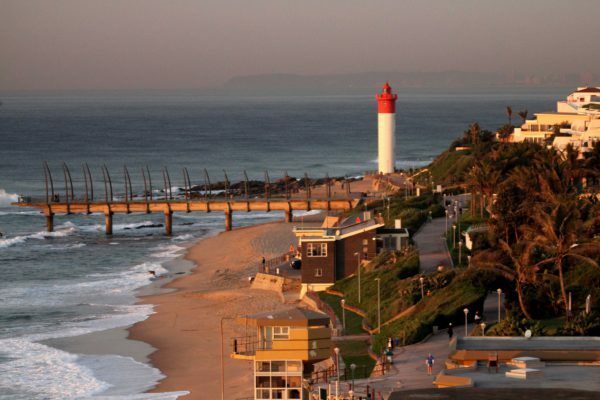 A family man who enjoys running, Thierry relocated to Ballito from Durban North. Occupying operations and general management roles in the landscaping industry for most of his career, Thierry’s strengths lie in people management and planning for the most efficient delivery of services. He joined UrbanMGT in late 2015. A Salt Rock resident, Dieter has worked in law enforcement for the past 27 years and well-networked in the area. Having started his career in Ballito in 1987, he has watched the area develop and is really enjoying being associated with the work of the UIP. He joined UrbanMGT in late 2015. Gray has qualifications in civil engineering and marketing and a broad experience in industries from project managing multi-million building projects to sports administration and owning a chain of cinema theatres. His varied background gives him the expertise to deal with the complex diversity of managing the development of a green fields precinct from infrastructure to maturity. Originally from farming stock in Zululand Gray and his family now live in Durban and the Indian Ocean runs Black & White in his veins. For fun, Gray has been known to ride the Amashova race from Pmb to Durban on a unicycle. Nwabisa Mkhize is a Precinct Manager for Bridge City Management Association. She joined UrbanMGT in February 2017 after moving down from Johannesburg where she worked for Kagiso Urban Management / Urban Management & Excellerate Facilities Management as a City Improvement District Manager. A wife a mother of a busy toddler, Nwabisa is relishing her role in supporting the development taking place in Bridge City. Hloniphani Mpanza (aka Hloni) joined UrbanMGT in August 2018 as an Assistant Precinct Manager to Bridge City and Sibaya. As an aspiring property developer Hloni sees precinct management as the perfect way to learn and understand the role a company like UrbanMGT plays in the property space in terms of the difference between having a building in a managed location where a building will hold its value better than not having it in a space that is managed. Hloni plays rugby for Durban Collegians and is married to his primary school sweetheart Nontokozo. 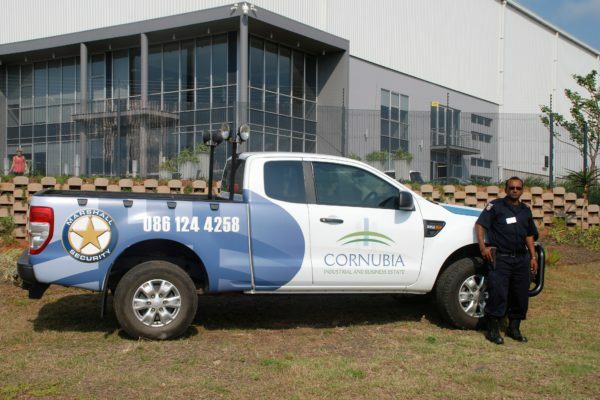 Sihle Miya was appointed as the Cornubia Industrial Business Estate (CIBE) Assistant Precinct Manager in August 2018. With experience in the facilities management industry, Sihle loves working with a vibrant team in a rapidly changing environment. Policy development and implementation of UIP services.